This easy recipe for Crock-Pot Marsala Beef is the perfect slow cooker recipe. Simmer beef stew meat in a flavorful sauce and serve over noodles for dinner! 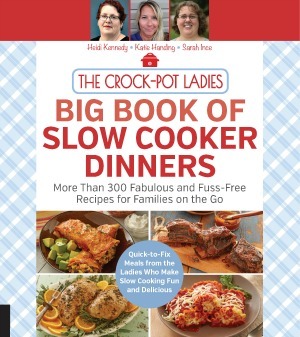 This delicious recipe come to us from Crock-Pot Ladies reader Penny W. She loves this easy recipe because it is the perfect slow cooker recipe. Tough cuts of beef stew meat are simmered away for 6 to 8 hours on low in the slow cooker in a warm flavorful sauce that consists of mushrooms, marsala wine and cream of mushroom soup this the thickener in the sauce. Don’t like using canned cream of mushroom soup? Use this homemade mix for “Cream of Anything Soup Mix” instead….it works just great! When it is all cooked, just spoon it over cooked egg noodles (or rice) for a dinner that you would be proud to serve your family! Put meat, onions, and mushrooms in a 5 quart or larger slow cooker. In a medium bowl, mix the remaining ingredients and pour over the meat. Cook on high for 6 to 8 hours hours or until meat is tender. Nutrition information does not include the pasta or rice you may serve this over. We have not tested this recipe using a substitute for the Marsala wine. 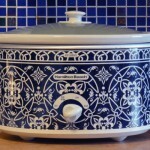 However, here is a great article I found over at LoveToKnow.com – Substitute for Marsala Wine. It looks like according to that article you can use 1/4 cup white grape juice, 1 tablespoon vanilla extract and 2 tablespoons of sherry vinegar for a non-alcoholic Marsala wine substitute. Or check their article for other substitutions if you don’t mind it having alcohol.